sometimes paradise is a cubeta…. 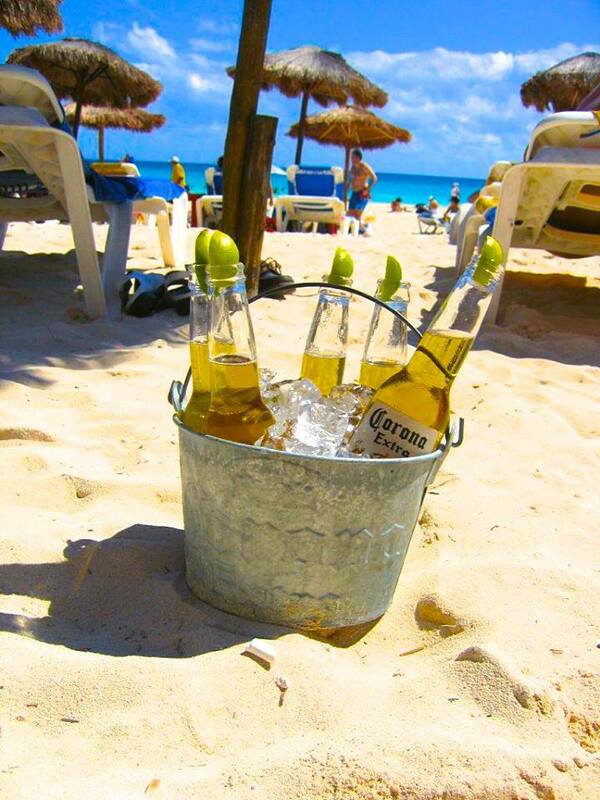 A cubeta or a bucket of Coronas is a most wondrous refresher on a hot, sunny, tropical day.!!! 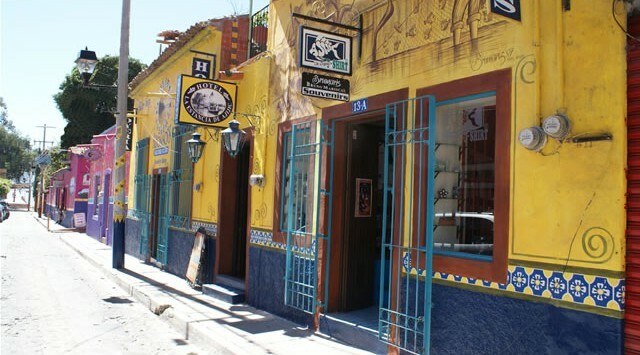 Of course, it could also be a cubeta of Tecate, Dos Equis, Modelo, Victoria, or Pacifico.! You get the idea 🙂 Enjoy your weekend everyone.!! Feliz lunes.!! Happy Monday.!! Volví.! I’m back.! Since, I started writing this blog a little over 2 years ago, I have never felt the need to take a break. 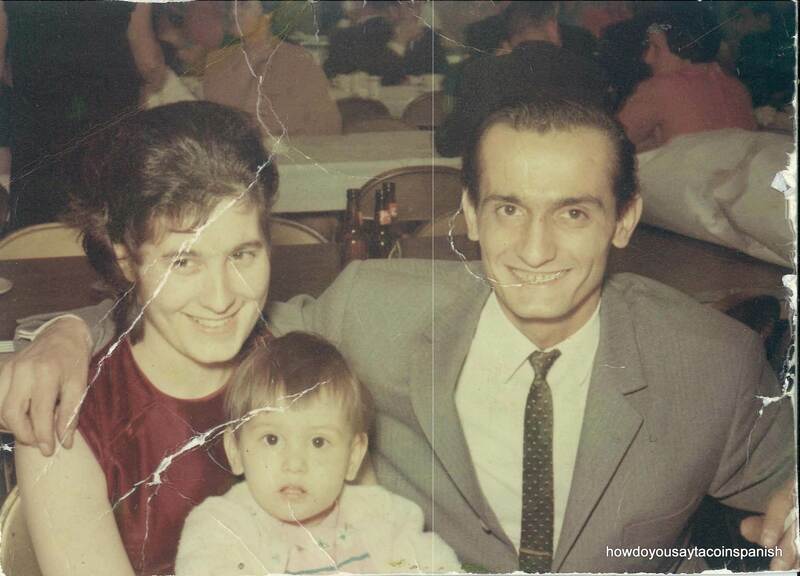 Until now… Dealing with my father’s sudden and very serious illness while being his personal assistant, advocate, and support; working; and let’s not forget trying to get some sleep required a give somewhere else. And unfortunately, dear readers, the give became my blog. So please forgive my three week absence, but this girl needed a break. Luckily for all of us, the wheel of life turns and this life is looking up a little bit lately.! My father has been breathing on his own for almost four weeks now.!! And three weeks ago, after 2 whole months, I was finally able to speak to my dad.!! I can’t even begin to describe the elation I felt hearing his voice and realizing that even though he was still a little confused regarding what had happened, he knew who I was and spoke my name.!! There had been some worry that he might have suffered some memory loss. And as we know, the brain is a wondrous and complicated beast. How did I know whether he would forget me, but remember goulash. Or forget me and remember the Bulls. It could happen, he really loves food and the Bulls 🙂 So most assuredly a moment that at once made me scream in joy and weep with relief. My dad is in rehab now for the last part of his recovery. While the timeline is moving at a glacial pace, I remind myself it is moving. Also, the summer is finally upon us in Chicago. The weather of late has been superb – sunny skies, breezes, and a little rain to cool us off as needed. I’ve been able to spend some time with close friends and relax. And really isn’t that what life is about – spending time with loved ones – eating, drinking, and sharing. This week’s much overdue Corona commercial celebrates sharing with good friends, old and new, while enjoying good food and drink.! Enjoy.!! Y salud.!!! Feliz miercoles.!! Happy Wednesday.!! I hope everyone had a spectacular weekend.!! Here in the states, it was July 4th, so it was a pretty exciting weekend.! One of my friends just got back from Papa New Guinea. Since she knows I’m a coffee fiend, she brought me back some coffee from there.!! I can’t wait to try it 🙂 I also saw my lovely friend who moved to Puerto Rico recently. She was in town newly engaged and showing off her ring and fiancé or novio.!! jajaja… We spent a lovely day with tacos, elotes, and Corona.! Did I mention her novio is Mexican.! It was great to see her and celebrate. I also got to see fireworks…everywhere actually.!! I saw them while I was visiting with my engaged friend. And then on the drive home, I saw fireworks along the expressway pretty much as I drove by every township. It was pretty cool 🙂 Sorry I didn’t get any photos. On another note, my dad is doing a little better. I stopped by to see him too. I can’t wait until we can hang out and eat some chicken wings.!! And as for the weather…well…it feels like Dublin in July. Cold and rainy. Not summer Chicago weather at all. 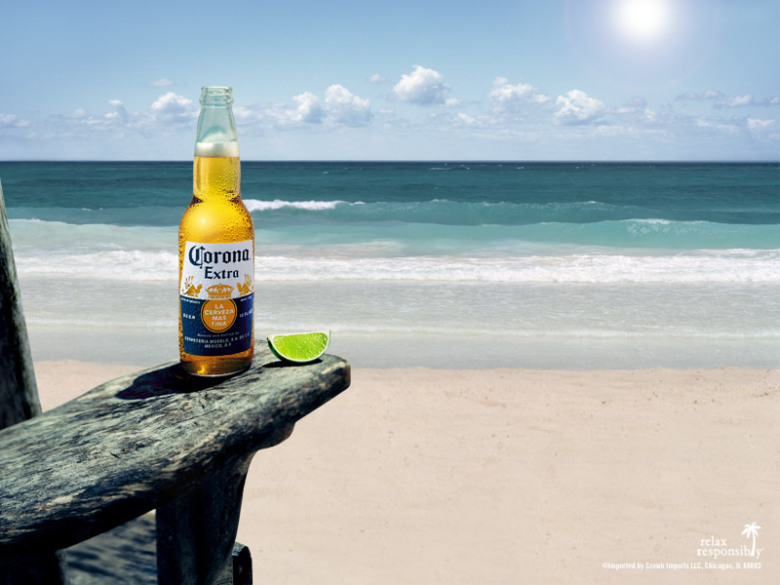 This week’s Corona commercial is a letter from the winter season to summer. But really it may as well be a letter from the city of Chicago to summer reminding it of all the reasons we LOVE summer.!! I’ll have more pretty pictures of Playa tomorrow. Until then, enjoy.! Y salud.!! 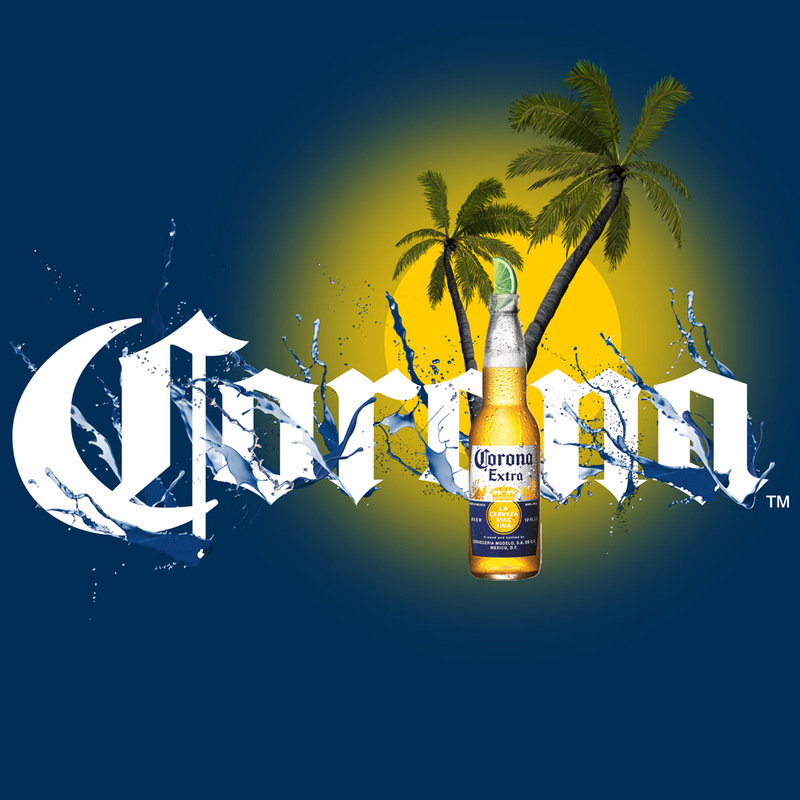 This week’s Corona commercial features the mandatory summer necessity – the cooler. You need it for the beach, picnics, friend’s bar-be-ques, and most definitely for July 4th bashes.!! I hope everyone has a great week.! I’ll see you in a few days with a full moon photo.!! Until then, enjoy.! Y salud.!! How do you know when circumstances have gone from horrible to way better.? You visit your dad in the hospital and he swings one leg over the bed, grabs your arm, and says, “Ruža, idemo (Rose, let’s go)“. I was relieved and amused.! Welcome back dad.!! I have sorely missed you… Unfortunately, he still has a lot of healing to do before he can go home. But so much better than those early dark days of May. I’ve been under so much stress that I’ve been fantasizing about the beach again.! Didn’t I just go.!?! 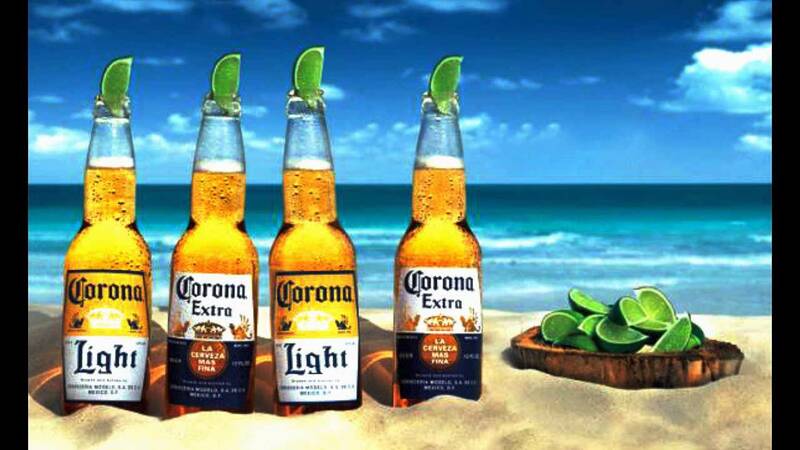 jajaja… This week’s Corona commercial is awesome. It’s just a guy, a girl, the beach, and some beer. What more could you ask for.? Ok…don’t answer that. Lol.. I’ve got a few things I could still ask for.!! Enjoy.! Y salud.!! I'm also in a good mood because it's finally a beautiful sunny day in Chicago. You know the kind of day that makes you want to take a walk outside, eat some ice cream, or sit outside and people watch. 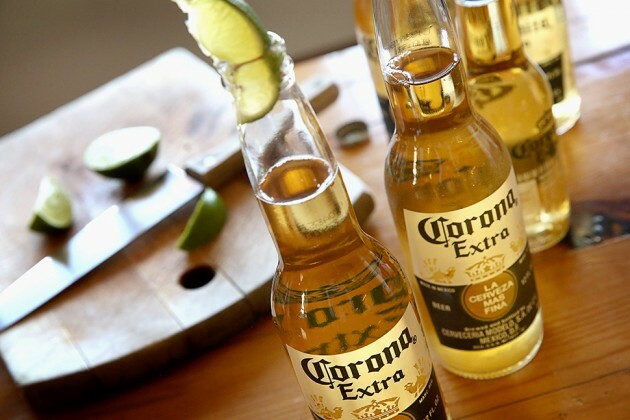 It's been a long time since we've had a Corona commercial. But I think today is the day and this particular advert is fitting. So sit back, kick off your shoes and relax…. Enjoy.! Y salud.!! 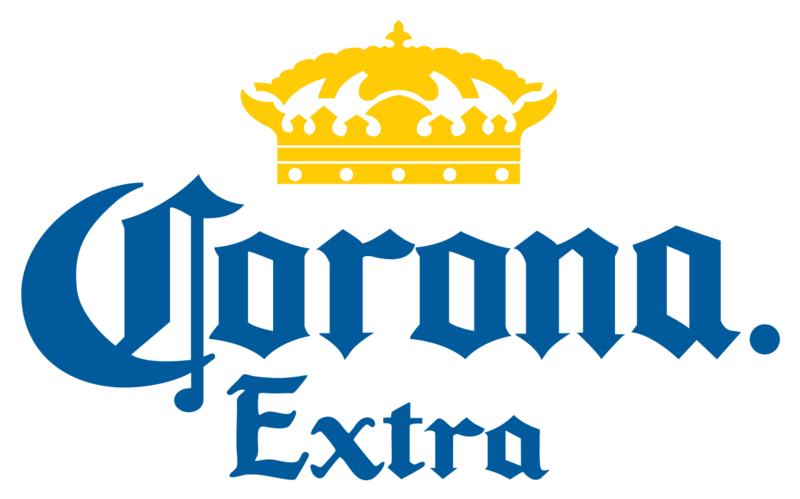 Corona moves over for Canadian Club…. I did spend some time enjoying the company of my friends whether on the phone or in person. I had a delicious burger, truffle fries, and some tasty beverages with a lovely friend on Friday night.! One of my really good friends was also in town from Puerto Rico and we got to catch up with our old crew over a lovely Thai dinner and Sangria.! I managed to hear some wonderful stories from my friends and get in some much needed smiles and laughter. One of my friends also sent me a hysterical video from Anna Akana called “Women Can Be Dicks Too”. It was hysterical.!! I highly recommend a look see. On that note – I want to thank all of my family and friends who have held my hand, hugged me, fed me, listened to me talk, listened to me cry, made me laugh, made me smile – where would I be without all of you 🙂 You are my rocks, my legends, my Greek nymphs.!! Corona is taking a holiday this week and Canadian Club is stepping in as a pinch hitter. Canadian Club has nothing to do with Mexico, but everything to do with my father. He has been drinking Canadian Club for as long as I can remember. He used to say it would put hair on my chest so I always avoided it.!! Lol… But now I can’t wait dad until you wake up and we have another drink together because I don’t care about chest hair anymore.! That’s why they have laser hair removal 🙂 Enjoy.! Y salud.! !